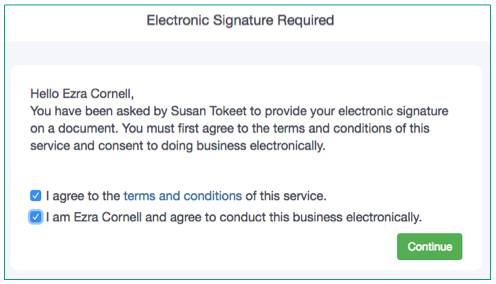 Tokeet Contracts is a fully integrated, electronic document signature feature. 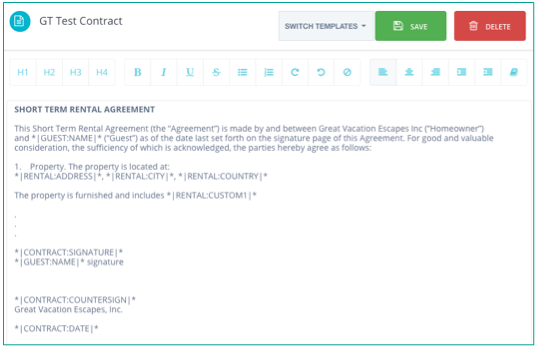 With the Contracts feature, you can create multiple contract templates, automatically populate a template with your guest’s information, then send that contract directly to your guest. You can even select an option to require your guest to upload an ID. Tokeet Contracts is available with our Agent plans and above. 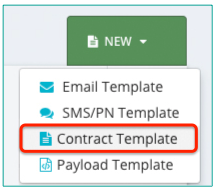 Click New, then select "Contract Template" from the drop-down menu. Now, add your contract text. You can use data tokens for guest, rental, and other fields from the data dictionary. Click "Save" to save your contract message template. You will be asked to provide more information on the next screen. Select the "Ask signer to upload photo identification" option to have the guest provide a copy of their government-issued ID or passport. Use your mouse to sign your name. This will be used as your contract countersignature, if you include the token *|CONTRACT:COUNTERSIGN|* in you message template. In Tokeet Inquiries, click into an Inquiry > New Message > Select the Contract > Send. 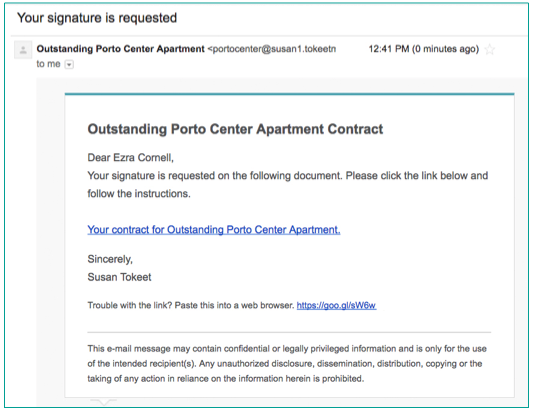 Your guest will receive an email with a link to the contract. The guest will need to click the contract link and walk through several screens. 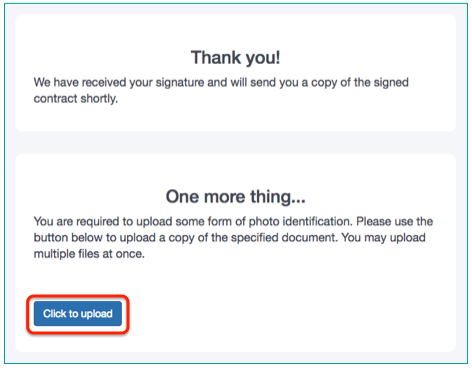 Click to sign the contract using a mouse or finger, then click "Submit Contract". If you requested that an ID is uploaded, the guests will see an additional screen asking them to upload their ID. 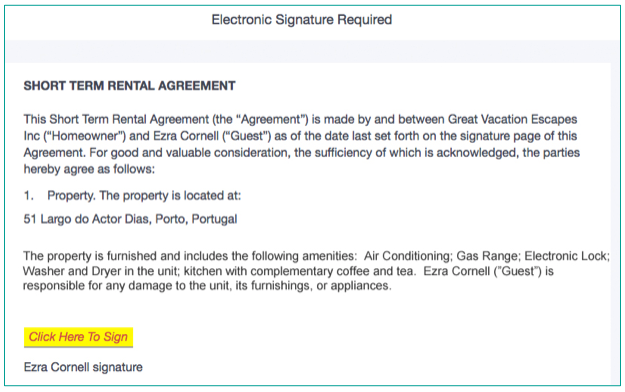 Once the contract is signed, your guest will receive an email with a link to the fully executed contract. If you would like to be notified that a contract has been signed, you can configure a Tokeet Trigger (Settings > Automations) to send yourself an email when event: Contract Signed. If you'd like for additional notification when a contract is signed or rejected, you can utilize the Contract Signed and Contract Rejected events in Tokeet Triggers. That's it! Tokeet Contracts will simplify your vacation rental process and gives you one less task to worry about. 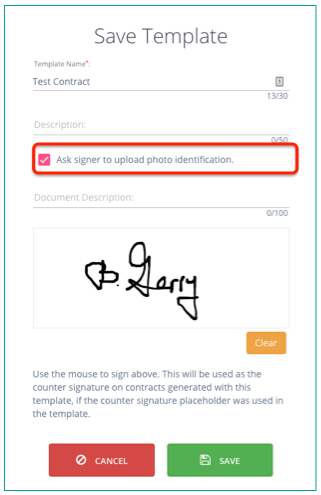 Plus, by making the booking experience easier for your guests, Signature makes the process easier and more effective for you, too.